I'm a big fan of layering eyeshadows. Yes, one is great -- but two or three are so much better! So I'm totally excited about the newest trend hitting the eyeshadow world -- swirled eyeshadow. The best thing about this type of shadow is that you can either sweep your brush across one shade, or you can really sweep across all of them to create a color that's all your own. Brands like M.A.C, Avon and Too Faced have all gotten in on the trend -- just check out the Too Faced Baked Eyeshadow above ($19.50 at toofaced.com). Get even more options after the jump. Jillian Dempsey for AVON Celestial Eyeshadow ($6.99 at avon.com): Two gorgeous shades await you when you choose this shadow, created for Avon by McDreamy's wife herself! Pick either Sunset Sky (pictured) or Moon Sand, a pretty gold shot through with shimmery charcoal. 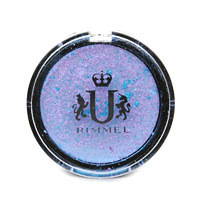 Rimmel Stir it Up Eyeshadow in As If ($7.49 at drugstore.com): Stir it up is right! 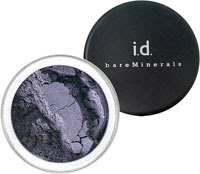 You'll want to do nothing short of cause mayhem when you swipe your lids with this gorgeous bluish purple concoction. 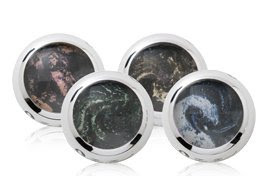 M.A.C Mineralize Eye Shadow Duos in Earthly Riches ($19 each at maccosmetics.com): Love. Love. Love. I simply can't express how happy I am to have this one in my arsenal. It's purple. It's silver. It's got shots of red running through it. I AM IN LOVE. bareMinerals Glimpse in Black Pearl ($13 at ulta.com): Not only is this color gorgeous, but the shadow is formulated without the use of additives or harmful chemicals. And when we think about reducing our carbon footprint, isn't swirled eyeshadow a good way to start? Great post! I almost bought one of the Avon ones, but decided against it. The model wearing it in the catalog looked amazing, but some of the reviews said it was too light. I think it was the blue-ish one.